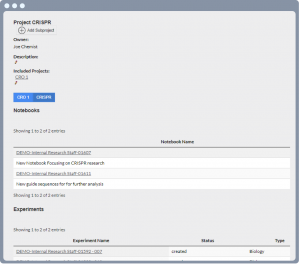 ArxLab Notebook connects data from internal research functions, departments, and locations, as well as from external partnerships, into a cohesive whole. Scientific managers can coordinate research programs in real time as well as perform up to the minute monitoring of work activity and productivity. 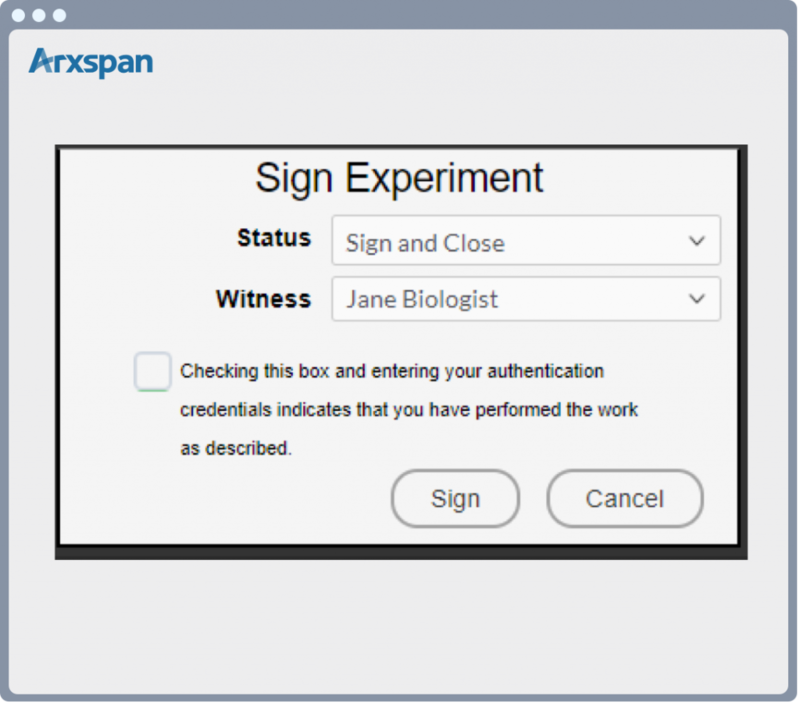 The system enables users to create custom groups of researchers, create and manage projects, template and copy experiments, manage assay data, and view and sign/witness experimental work. The ArxLab system powers collaboration with internal scientists, with experiments that can contribute to various notebooks and projects. Access controlled accounts and repositories for external collaborators (partner companies, academic collaborators, CROs, etc.) 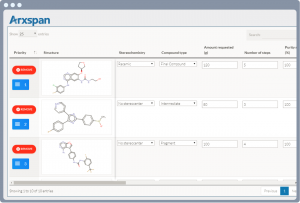 can be configured on an ad-hoc basis in real time. 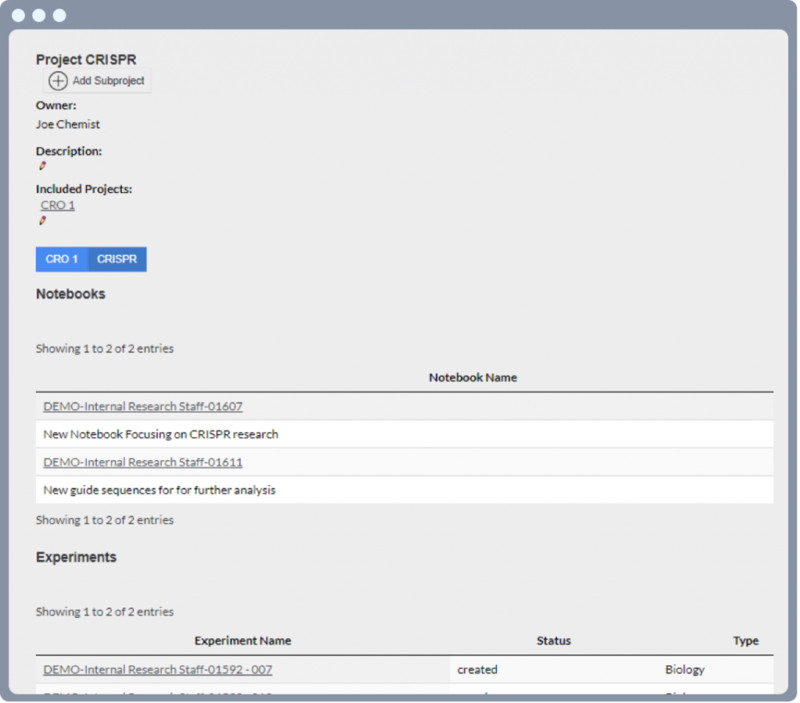 Scientists can be given access privileges to individual or group notebooks, as well as to one or many projects. Collaborators can be given full viewing privileges to the experimental work being performed, or they can be restricted to submitting their work product without the ability to see internal client data. Internal project names can be masked to collaborators, and restrictions can be applied so that they cannot see other users in the system. 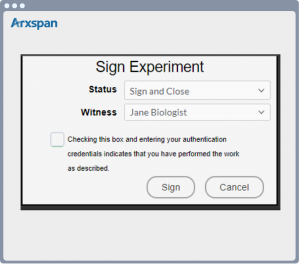 Experiments can be bookmarked to track important activity, and ArxLab’s integrated work request system enables requesting work product as well as monitoring progress of work. 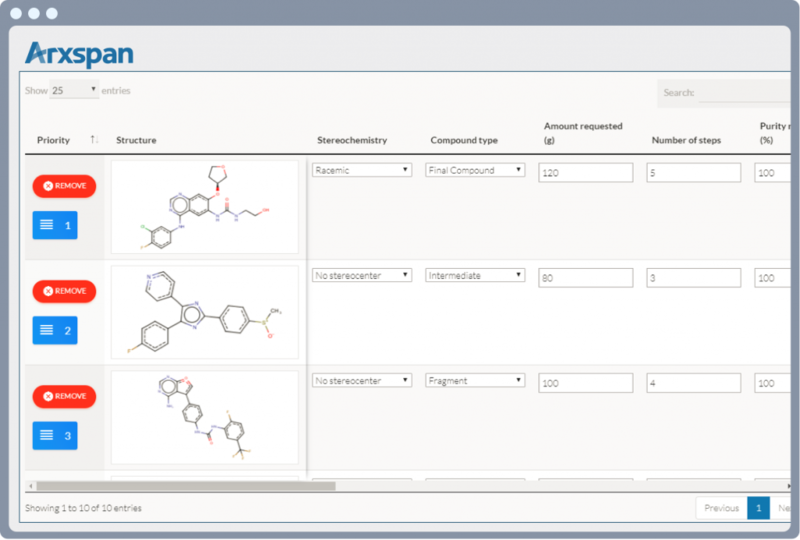 ArxLab Notebook is a zero-footprint SaaS application that is globally deployable in minutes. Deployment in the private, secure Arxspan cloud environment eliminates costly hardware acquisition, maintenance and IT overhead. When considered against a “fixed install” of a traditional ELN platform infrastructure, a SaaS deployment of ArxLab Notebook saves time, reduces budget, and eliminates the complexities of deploying a robust, fault-tolerant, and highly available application service. Access your data in an open XML format at any time for integration with internal systems, or automate data integration using event-based data push mechanisms. Push to all major commercial ELN platforms, SharePoint, and internally developed systems.